The Sound of Music was a tale I grew up with. Dare I say, a quintessential part of my childhood even, as I am sure it was for most of you all too. I have many fond memories of this movie and being seated on ghastly chestnut shag pile carpet, my brother to one side of me, my faithful “Ted” teddy bear to the other. Armed with a VCR remote control and a pair of lungs that no doubt would have made the glass windows in our living room quiver and rattle in perfect harmony with my voice. The movie itself is an utterly beloved memoir, and the musical production is everything plus so much more. 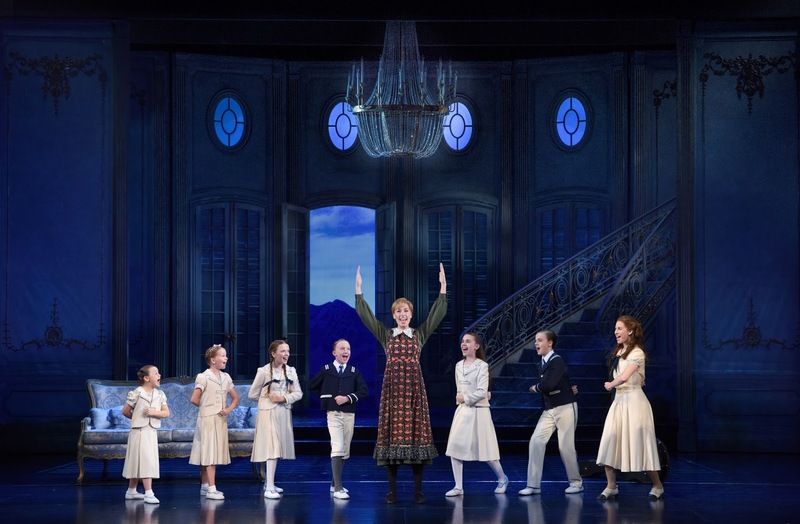 After an incredible, record-breaking run at the London Palladium, the world’s best loved musical, The Sound of Music is now playing in Melbourne at the Regent Theatre. And I had the privilege of attending their first show last Friday. This lavish and critically acclaimed production is based on a true story set in the 1930’s, at the dawn of World War II. Maria, performed by one of Australia’s newest and most outstanding award winning musical theatre stars, Amy Lehpamer, is studying to become a nun at the Nonnberg Abbey in Salzburg. Maria is full of life and love, something which concerns the nuns at the Abbey; none more than the Mother Abbess herself, as played by Jacqui Dark. 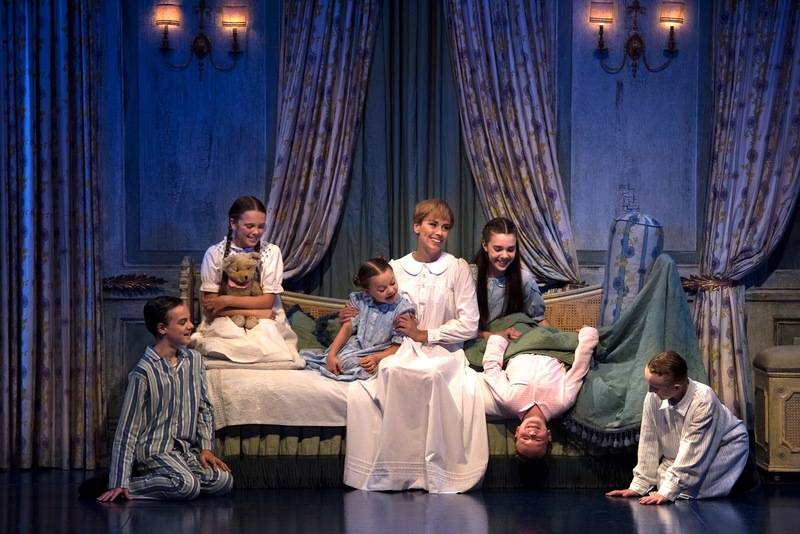 Not wanting Maria to make the incorrect choice for her life she sends her away to become the Governess to seven children at the von Trapp villa. 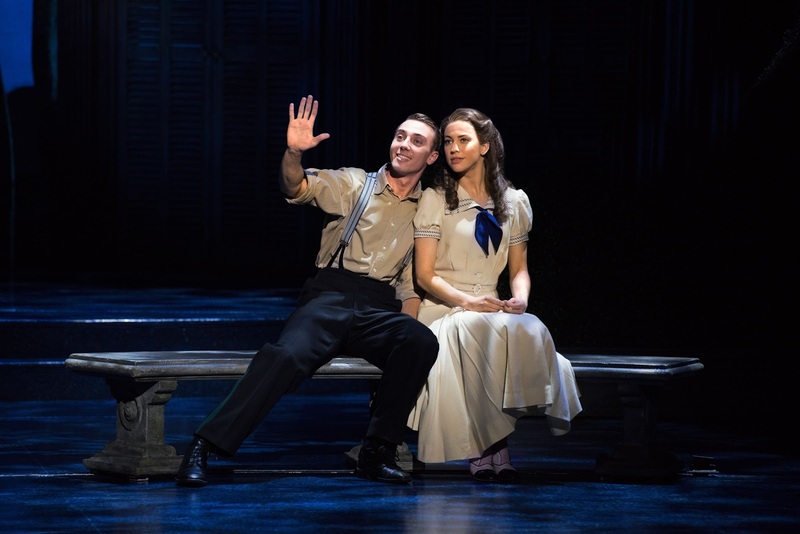 Here she patiently navigates through the children’s mischief as they attempt to garner attention from their windowed father, a retired navel officer, Captain von Trapp who is played by the multi-talented Cameron Daddo. Maria quickly wins over the family through song and a cheery disposition. And it’s not long before she wins the heart of Captain von Trapp too, despite being engaged to the Baroness Schraeder, played by Marina Prior. They soon wed but find a looming threat the Nazi’s and their ever expanding reach impossible to escape; especially once returning from their honeymoon. In an effort to thwart their commands, Captain von Trapp reluctantly permits his family to perform at the Salzburg Festival where upon the conclusion of their performance they make their hasty escape for sanctuary at the Abbey. This production was truly a wondrous marvel and pleasure to see. The performers truly outdid themselves, Cameron Daddo, ever so commanding and Amy Lehpamer was the epitome of Maria. Exuding such passion and presence. It was challenging keeping your eyes off her, especially during a number. Her voice ever so compelling and powerful. 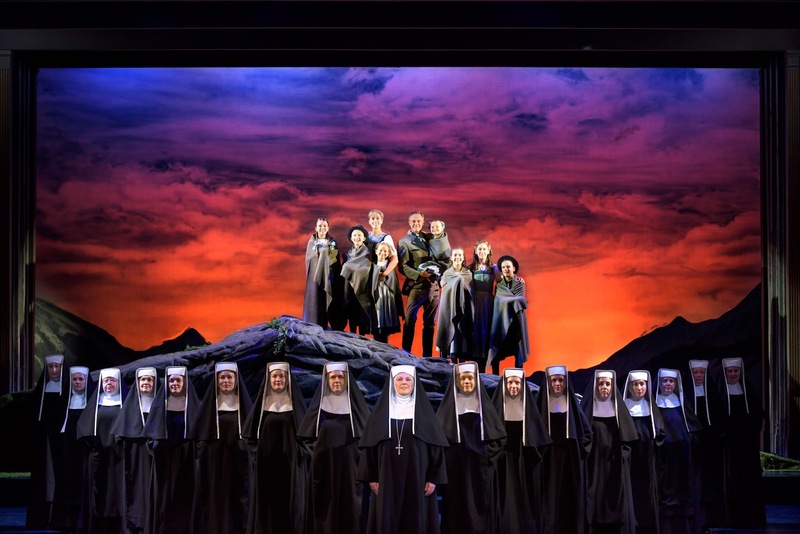 Even the von Trapp children were a delight to regard, each armoured with boundless talent, most of which I am sure we’ll be seeing more of in the near future. I have to say I truly enjoyed Frau Schmidt, as played by Lorraine Bayly. Despite having a small role both on film and on stage, her gentleness and tenderness was personified perfectly. I thoroughly enjoyed the show, as did the entire audience, as evident in their joyful animation during the memorable songs performed on stage. Many of them bouncing along in their seats; yours included. And speaking of music and score, you can look forward to beloved tunes such as My Favourite Things, Do-Re-Mi, Climb Ev’ry Mountain, The Lonely Goatherd, Sixteen Going on Seventeen and of course The Sound of Music. 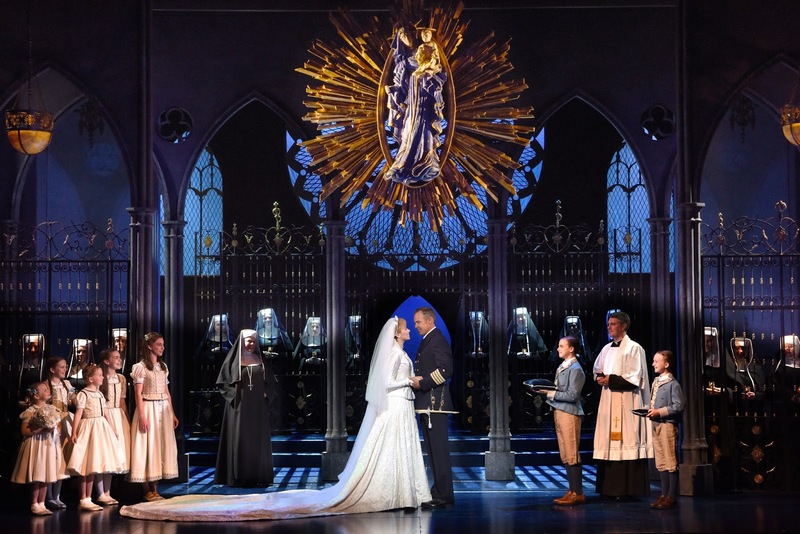 Rodgers and Hammerstein’s The Sound of Music is a piece that is perfect for young and old alike. It captivates and touches the hearts of all those who watch. It’s a perfect family treat, especially when seeing this story retold on stage.